If you’re bored of sitting in traffic or getting intimate with strangers’ armpits on the train during your commute, then taking your CBT Test in Watford will make the commute something you look forward to. AVSCO Motorcycle Training are located just outside Watford, just off junction 5 of the M1, so they’re easy to get to from any direction. The team at AVSCO are professional and friendly, and the school will provide you with a bike and helmet for the duration of your CBT. If you’re not located near the centre of Watford, we also have CBT schools in the surrounding areas. 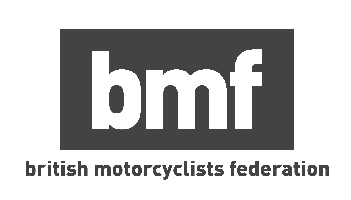 North London Motorcycle Training and Universal Motorcycle Training are both based in Edgware, while Alpha Motorcycle Training are based in Wembley. Commuting on two wheels is not only more fun than sitting in the car or standing on the tube, it can also be quicker, too. However, commuting through the city on your motorcycle or scooter presents unique challenges. If you’re used to commuting in a car, it can be quite a shock riding a scooter or motorcycle - where you will be one of the smallest vehicles on the road. With that in mind, you’ll want to make yourself visible, so think about hi-vis clothing or reflective accessories. They’re not the most fashionable, but that doesn’t matter. To make sure you don’t get bullied by other road users, you’ll want to stay away from the kerb, and position yourself in the middle of the lane. If you ride too close to the kerb, impatient drivers will see that as an invitation to squeeze past when perhaps they shouldn’t. It’s not just other road users you’ll need to be wary of commuting in London, it’s pedestrians, too. The locals on their way to or from work will be in a rush and won’t think twice about darting out into the road when there’s not quite enough time. Tourists generally wander around London at a much slower pace, but they don’t know where they’re going, so they’re unpredictable, and more often than not they’re looking anywhere but the road. The most important piece of advice for riding in London is to be patient. London’s roads are full of people in a rush who don’t give much thought to how their decisions will affect other road users. But if you remain patient and ride at your own pace you’ll arrive at work in good time, and with a clear head. See our in-depth guide for more tips to riding your motorcycle in London.